Last month the County of Hastings announced that Mary Doyle has been appointed Enterprise Facilitation Coordinator. 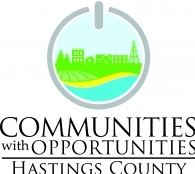 Doyle's role is to provide free and confidential business coaching to new entrepreneurs and existing businesses across Hastings County, including those located in the Municipality of Tweed. Doyle is originally from the Tweed community, and at one time taught elementary school in the Municipality. After moving on from teaching, Doyle ran two businesses on her own, and through her success achieved the title of 'Business Person of the Year' in 2009 in Kingston from their Chamber of Commerce. "Mary is a welcome addition to our economic development team and to an initiative that is like a great story that just keep unfolding" says Economic Development Manager for Hastings County Andrew Redden. "Since early 2010, we have directly assisted more than 250 entrepreneurs first-hand, helped more than 120 businesses open, expand, or remain in operation, and supported the creation of more than 100 new jobs." Doyle is also supported by a resource board who meets once a month in altering communities to help provide connections to support her clients. If you are interested in sitting on this resource board you may contact Doyle for more information.